Today is the Day. It is a most special day. It was one of the happiest days of my life. Today, when I think about this special day, I remember moments about it that are sweet and precious to me. You see, this day was the day I first met him, in person that is. And from the first minute I saw him, I knew immediately who he was. Oh, I had contact with him before we actually met in person. I thought I had a pretty good idea of what he would be like, even what he would look like. I spent hours and hours trying out different little names that would fit, what I would call him when we finally met. Even though it was many years ago, I remember the little details that women usually remember about such things. I remember the day, it was a Friday. I remember the time, 2:00 p.m. to be exact. I have to admit, he was a lot cuter in person. I just knew he would be a joy to be around. I was right about that. We were very much alike. We communicated on a different level than most. The more time we spent together, the more I fell in love with him. We keep this day as a special day. We celebrate each year, for there is no day like this day. At 2:00 p.m. on Friday, April 4, 1975, I met Joseph Christopher. My son. When I saw him, I just knew who he was. He was Joey. My Joey would have been 38 years old today. 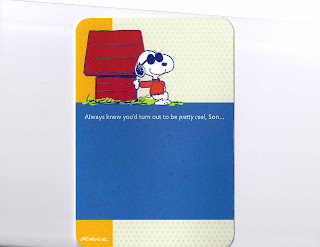 Each year I would try to find a Snoopy as “Joe Cool" birthday card for Joe. I always looked for one of these and picked one up whenever I would find one. I was excited to find this one, but I never got the chance to give it to him. That’s why this Day is the Day. Today, this day is filled with so many emotions. It’s a sad day for me. I am filled with pain and grief on this Day. On this Day I feel so fortunate to have him in my life, always and forever. I miss Joey everyday, but especially, today, on this Day. And he was lucky to have been born in April! 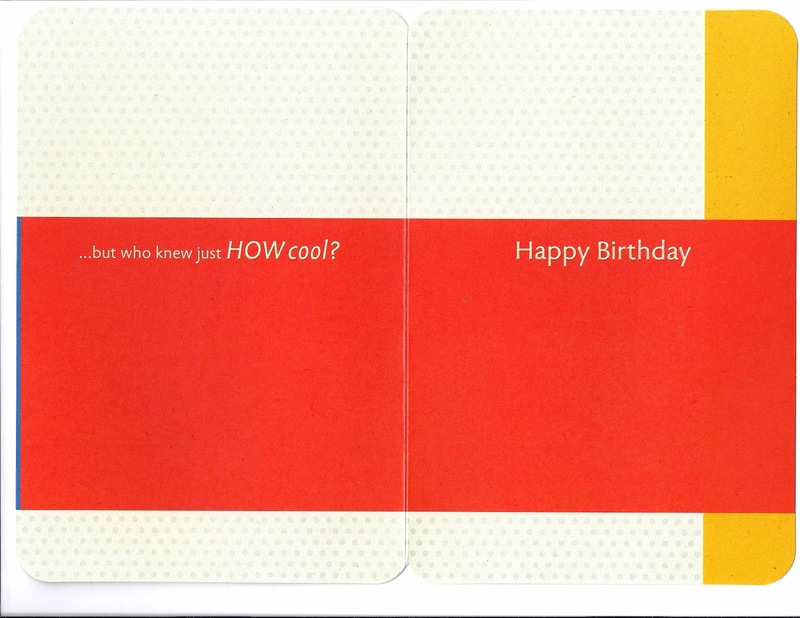 I think it's the best month for a birthday (and both of my children are April babies). 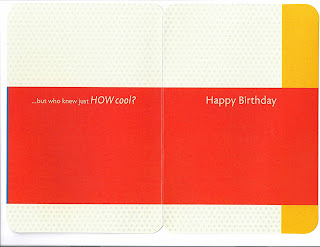 Thinking of you especially today then, Lynda - Joe Cool lives! Thanks JT. It has been a rough one today. This post is so sweet and happy and sad all rolled up into one. Happy Birthday Joey..
Lynda, I don't know how I wound up on your post form exactly two years ago today. My heart goes out to you, and to Tomorrow Joseph, and to his wife. Sometimes it hurts to not have a magic wand to wave away all that's sad in the world. I wish I had one right now. You'd all be happy and together. I'm sending a big virtual hug to you. You're such a strong person. Thank you Teresa. Hugs help so much! Joe Cool has been a favorite of mine since I was in college. It seems appropriate to acknowledge the connection between Joe Cool and your Joey today. Bittersweet post, Lynda.